This page is an archive. The contents have been moved from another page for reference purposes only, and should be preserved in their current form. Discussion or voting on this page is not current. Any additions you make will probably not be read. The current version of this page can be found at Requests for new languages. I approve the request, but is necessary edit the interwiki af: for he not goes in Uncyclopedia's babel page, fact that happens with the interwiki simple: in the Uncyclopedia. I did not expect this Wikia villainy, but because the wiki is abandoned and no connection to his partner, consider this petition is filed and approved under our guidance for the satisfaction Uncyclomedia. The Kamelopedia is not really on Plattdüütsch (Plattdeutsch, a north German dialect), but on standard German. I came up with the idea of Plattdüütsch because the Stupidedia (German as well) is enlisted as the "Boarisch" (Bavarian) version of Uncyclopedia, because there also is a German "Uncyclopedia". So Kamelopedia would be the third German wiki to be an official language version of Uncyclopedia. I think it is relevant because it has got more articles than the German "Uncyclopedia" an nearly as much as the "Stupidedia". I chose the north German dialect Plattdüütsch because it's a running gag on Kamelopedia that everything happens in Norddeutschland (North Germany), for example we use the Norddeutsche Normalzeit (North German Standard Time). I'm a bureaucrat on Kamelopedia and would be happy if you added us as a language version. This will be discussed among the sysops of UnMeta at the time I stay neutral. I'd like to see more wikis to become a sister of Uncyclopedia (as the Stupidedia). The Carlb may to speak your view point. We are an independent wiki. 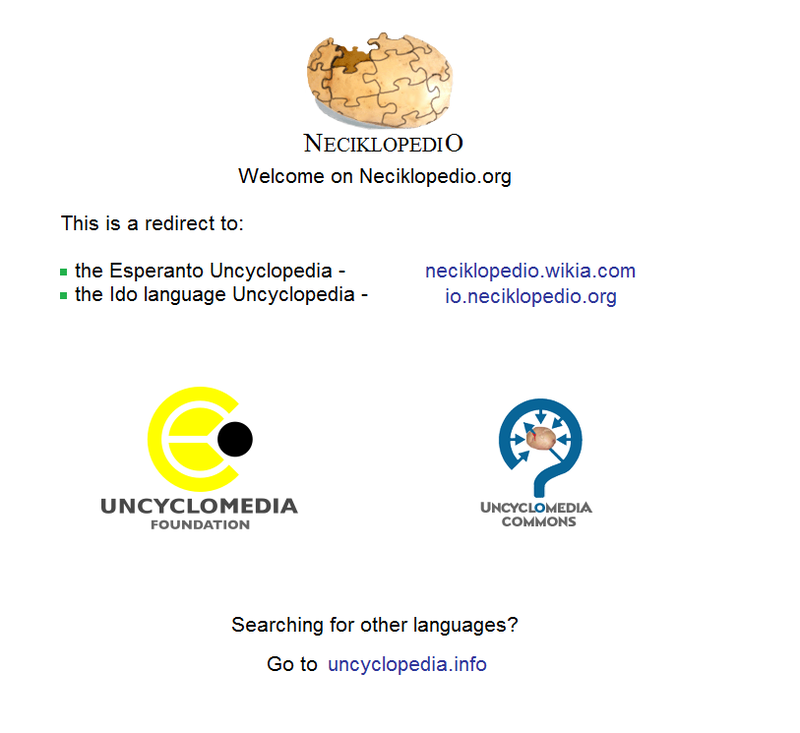 As we had introduced the Interwiki-connection to Uncyclopedia, we linked the other wikis in our articles, but they didn't do so to us. And if they linked us, our wiki was linked as the "Boarisch" wiki, as it is linked on your wiki. But we are a German wiki, like the German Uncyclopedia (just better wink.gif ), not a Bavarian one. But the guys from Uncyclopedia didn't answer to us and so we removed the links after half a year. Neutral:There is a problem with this, when asked to join the stupidedia Uncyclomedia she asked the interlink used in de.uncyclopedia, although it has decided to interlink bar. I fear that this may give the same problem in the future when I or others want to enter interlinks with Kamelopedia not know if it is of Germanic dialect or the language version is estandar. Moreover, in addition to include a series of twists and turns between users in many communities the history of conflicts between rival wikis the same language in unmet prevents me from actively participating here. Therefore, I will not vote against because it is a requirement, not a vote, however keep my position of strict neutrality while waiting for the end of this story. I'm not sure whether I understood your post completely. I think it's clear that there is a certain “rivalry” between humorous wikis in the same language, and so there is one between the German Stupidedia, Kamelopedia and Uncyclopedia. But normally this is no serious conflict, so we may spoof each other, but don't disturb someone's work. La palabra Çciclopédia (Uncyclopedia) se traduç outelizando çc (Un) i nun cun cc na lengua mirandesa, Cartoonist. 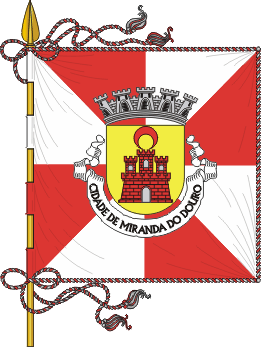 Mirandese is one of the Asturian dialect, spoken by 15,000 people in Miranda do Douro and in villages nearby regions. It has status of official language in these region of Portugal. Unfortunately I do not have in my Google translator option for that language, but get a dictionary and a grammar copied from a website. I have good news, I got a translator Portuguese - Mirandese the market price. You can now do translations and improve Çciclopédia. In Mirandese Tengo buonas nuobas, cunsegui un tradutor Pertués - Mirandés la précio de mercado. Agora será possible fazer traduçones i melhorar la Çciclopédia. FOR- I approve the idea, because there are few languages from west iberian languages family in Uncyclomedia Foundation. Local message list: TranslateWiki.Net > Portal:ie I am translator here and I am translating the messages. The complete translation will go delay a time. I propose a new proposal for domain name and project name: Ninciclopedia for project name and ninciclopedia.org for domain name. Cartoonist, does you think ? Conditional for and neutral vote Approved: Again I remember that applications for language Ido and Mirandese uncy are pending. The two proposed interlinks are not accepted. So I chose the extension vls: (West Flemish), after tirelessly search. For now, keep neutral until another sysop manifests his opinion. I regret the inconvenience but I found a wikipedia with the Flemish language Oriental. So, like I can not reverse this request at this time I'm creating a new language for the proposal. So it is fy: for Frisian and vls: for Flemish, so I made ​​a terrible mess because they confuse the two languages​​. So, then keep the new proposal worth much to a Frysk uncy, as a Flemish uncy. This request is repeating the request for West Frisian (Frysk) made by user:Mycheameler, but the project name is different (by Mycheameler is Unsyklopedy). And I think he had voted for as Frisian, but was confused as the Flemish language. Frysk Uncyclopedia project: approved! :D. About the Interlingue (Occidental) MediaWiki - level of translation: about 30 %. Approximate number of speakers: Honestly? Counting the forums where it's used, around 50. Link to request on a mailing list: Here. If you can't understand the mixture of artificial languages, it says we should make Uncyclopedias in more artificial languages (besides Esperanto, which already has one). First we commented on making an Uncyclopedia in all artificial languages, but later agreed on making one at a time. Sorry, but we are not Wikia. Comentary: I notice too late that you made the request at Wikia, a month before coming here. I wonder how we can meet this request? In addition, you discussed this subject in the forum noticed how in Inciclopedia. I wonder if you still want to edit it or the domain .org ArkBlitz. It's a good idea creat an Uncyclopedia in Ido language. If she exist, don't permit the exit its from Uncyclomedia and she goes to Wikia. The Wikia is propertier of domain name neciklopedio.org. I propose a new proposal for domain name: io.neciklopedio.info. CarlB, the user made ​​the request earlier in Wikia to neciklopedio.org and Cartoonist had redirected this link to our info. However, this request was made for that language and currently has 2 votes approving the project. I decided to file it before the site (UnMeta, no Neciklo) has some problem server. If you want to continue, please continue on a forum. Note: please feel free to discuss this project and add yourself if you're interested. This project has no priority yet. Comment How is the Ido domain a problem? The comments on this would appear to have just been a mistake, posted in the belief that eo: being Wikia somehow made the eo.neciklopedio.org redirect and its underlying base domain also part of Wikia. They're not... they're just redirects. Try 'whois' to determine who owns a domain. Project name: Current: Oncypedie, but it might change. Neutral. Unfortunately I will have to remain neutral until Cartoonist has ruled. Once we noticed a certain rejection in uncy in West Flemish as it would be very close to the Frisian. Not only to West Flemish and Frisian but also Limburgish and Luxembourgish. For and support. Cartoonist, so if that's how this problem can be solved step by voting in favor the creation of this wiki. Comment. In my point-of-view, a wiki that is built by one user only isn't a dead wiki, but a pseudowiki, like Renard or Mgs spoke some time. Take as an example the Desgalipedia and Renard. Llwy, I give my example as an answer, since I was blocked indefinitely both as Inciclopédia and Desciclopédia. This kind of thing depends on the character of the user. I really believe Cartoonist has given a second chance to the user. However, we must keep careful that the other users or the administration of the site itself does not occur abuse. The project already had been aproved. Null vote. Local message list: See User:W. Chan/CantoneseUnyc, according to alphabetical order Use the one that Traditional Chinese Uncyclopedia is using as most of the people speak Cantonese know traditional Chinese. Reason: Although there is already a namespace in uncyclopedia.hk which saves all the articles, the number of articles almost didn't increase at all, (Only 3-4 articles, which is a quite small number)probably because of the namespace is not wellknown Therefore, I wanna start an Cantonese uncyclopedia to let the Cantonese speakers to know more about uncyclopedia by opening a new one. Furthermore, Hong Kong now share an uncyclopedia with Taiwan, and the users from hong Kong is increasing. If we continue to share one uncyclopedia, argues may flow. ※According my last visit to the site, sb has moved almost all the articles under h: and changed it to standard Chinese. The logo should be similar to the Traditional Chinese Uncyclopedia. Existing Content: Probably copytake some from uncyclopedia.hk . I understand your intention. Please play the rest of your application in the above template. Inform the logo that request. If a proposal has -2 or less it counts as a rejected proposal. Against Project rejected the reasons given by the IP. Uncyclopedia in Yoda's (from Star Wars) language. Rejected I need to say why? Rejected: Request rejected because the wiki already exists. Please do not insist! This page was last edited on 15 September 2018, at 14:02.